When you hear doom and gloom like this, its no surprise that freshening up the wardrobe with a new suit or jacket – well it can probably wait, right? It’s true. Men have smartened up their act in recent years. This has been down to a combination of wanting to give the impression that they’re doing well in difficult times, and in an office environment, that they are in the right frame of mind to take on the challenges that may lie at work. But how do it on a budget? Simple, you don’t have to take the plunge with a big suit purchase. Accessorise. Accessories can do a great deal to freshen up a wardrobe without the cost of a heavy outlay. They are a way of demonstrating personal flair as well as different looks with the wardrobe you already have in place. Only few years ago there was a distinct downward turn in tie sales. Men just didn’t feel the need to wear them, other than for when they had to wear them, perhaps at client meetings and other functions. But with a change of mood in business, ties were and are back. Guys, you need at least 6-8 in the wardrobe so you can rotate. For me, Hermes offer some of the best printed ties in the world but it is reflected in the price. 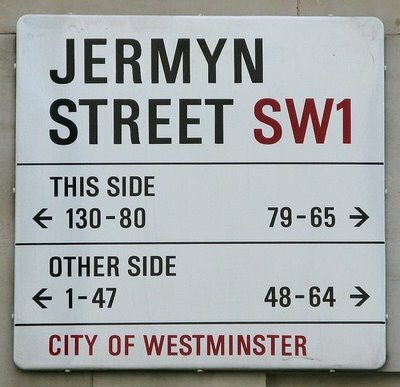 If you need to pick a few up and Jermyn Street is your usual tipple, remember to pop by in January and July. It’s sale time, and if you wait to the final week (usually the end of those months) you might just be able to find some great ties for a bargain. (N.B. If it’s pink and orange with red and lilac spots, don’t be tempted by the price. It may well have made it to the final week in sale for good reason! Tie pins, lapel pins and hats are all down to personal preference, but what really has seen resurgence is the pocket square. It offers a touch of easy, affordable, style. A point to note is that it doesn’t need to match the tie you wear, but to complement it. It can also lift a look that doesn’t include a tie. But there is an element of not being seen to be too much of a ‘dandy’. ‘Understated style’ continues to reign. Fashion advice is everywhere, through all the channels now open to us. Blogs, websites, magazines and other Social Media. Opinion is everywhere telling you what is the ‘must have’ thing for this season. But while Fashion revolves, Style remains, and to a large extent the art of accessorising is not about ‘Fashion’ as it’s more deep rooted than that. If you buy the finishing touches, it will breath life back into the clothes you have, and suddenly give you more options and looks than you thought you had. A good quality white shirt, and make sure it is ‘white’– nothing looks sharper. Cufflinks – Avoid the cheap elastic knots. Choose a smart, timeless and versatile cufflink. Pocket Squares – White is very smart and goes with everything. Use colour when you’re feeling more confident with what you’re doing / matching to. Shoes – So important, and the one thing men tend to forget. Keep them clean and in a good state of repair.